Security window tint can be added to your windows in your residence, office, car or boat. It acts as a buffer against the sun, heat and reduces discoloration of your floors and furniture. Not only does it prevent damage to your home, office, vehicle or boat but it also adds protection against theft, unfavorable weather and vandalism. Security window tint adds an extra layer of protection against both forced entry and the forces of nature. It does not break like normal glass – it remains pieced together and therefore prevents injury and damage. 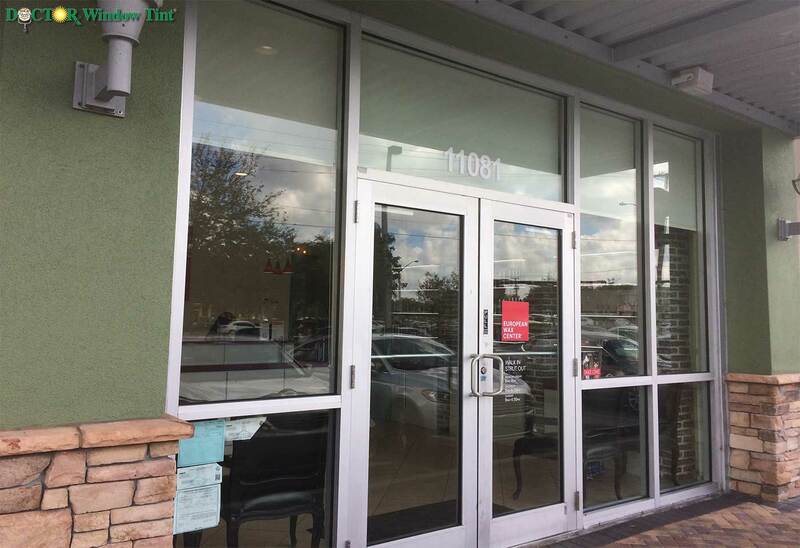 Florida has a high incident rate of Hurricanes and security window tint not only complies with Florida’s Building Code, but it also helps hold your glass in place during a hurricane, which will prevent damage to you and the reduce damage inside the building. A supermarket in Florida reported a success story after the installation of the clearsteel security window tint system: two men with long dark coats stood outside the door of the supermarket at closing time and indicated to the manager that they wanted to come in. The manager refused and backed away from the door. One of the men then pulled out a sawed-off shotgun from under his coat and shot the door system. When the glass stayed together instead of crashing to pieces, the two stunned men ran away. Thanks to the security system that was installed, injury or worse, death was avoided and a robbery was prevented. There was a skyscraper in South America that installed a security window tint on the 10th floor that resulted in heat reduction and a comfortable office temperature. When a fire broke out in the building, the fire burned the building all the way to the 10th floor where it stopped because of the system installed on the windows. The glass broke, but stayed in place, keeping the oxygen from entering and feeding the fire. With no oxygen the fire was smothered and there was no damage done to the 10th floor. Security film is applied to glass to protect against attacks from terrorists. The film prevents the glass from causing the usual damage it would cause when hit by a bomb. The US government enlisted the services of Doctor Window Tint to install security film on the buildings of the Colombian government to help against the narcotics warlords who were threatening to bomb them. Shortly after, a car bomb exploded just outside on the street. All the windows in the building were blown out, but all of the glass stayed in place and together in the frames. Due to the recently installed system no one in the building died. The building behind this building had no security film on the windows and glass was thrashed throughout the entire building resulted in the deaths of many. Safety film is made from polyester film which is kept together in a variety of ways. A window film installer will coat one side of the film with an adhesive that is applied to the inside of the glass, whilst the exterior surface of the glass is protected with a scratch-resistant coating. This process creates a layer of protection that strengthens your glass. © 2019 Doctor Window Tint. All Rights Reserved.